The history of Salsa (which means sauce in Spanish) has been attributed to the Inca people; one of the first historically-documented cultures to populate South America. Salsa – the combination of chilies, tomatoes and other spices – can also be traced to the Aztecs and Mayans. The Spaniards first encountered tomatoes after their conquest of Mexico in 1519-1521, which marked the beginning of the history of salsa. The Aztecs combined tomatoes with chili peppers, ground squash seeds and consumed them mainly as a condiment served on turkey, venison, lobster, and fish. This combination was subsequently called salsa by Alonso de Molina, a Franciscan priest in 1571. Watch how fine you chop salsa. It can very quickly turn into mush… and then you’ll be serving your guests ketchup. Not a great move on a first date. 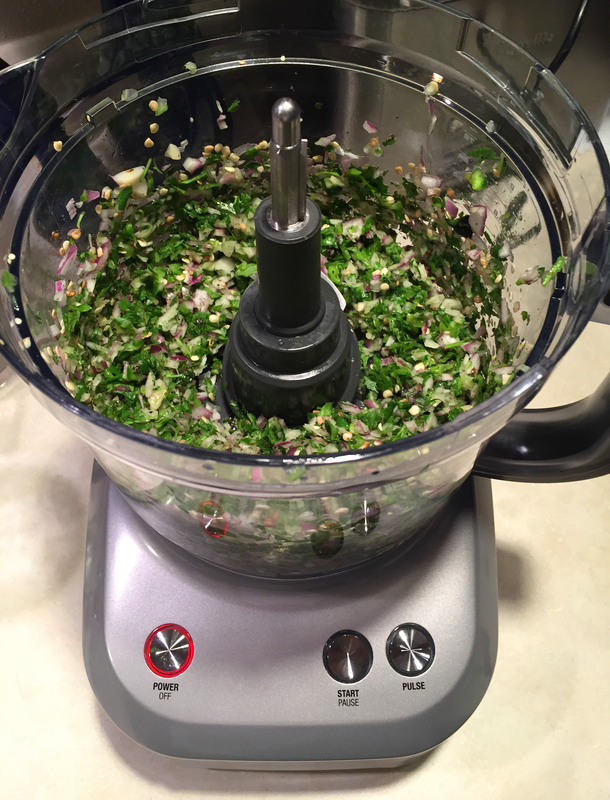 Use a good food processor with a pulse blade and practice reservation. Some varieties of salsa (picante, enchilada and mole sauces) are supposed to be pureed. There is a time and place for them — hence the term “sauce.” If you want the individual ingredients to stand out, keep it chunky. People think that they have to put in all sorts of other stuff like oregano, basil, cumin, chives, chili powder, Metamucil, etc. Leave it out. It’s not needed and kills the authenticity. After you try a few recipes, you will realize how simple the ingredients list is. Sugar cuts the acidity of the tomatoes while adding more body to the flavor. Try putting a pinch in as an option. A small dash of fresh-squeezed lime juice is a great way to add a base of flavor – make sure you strain out most of the liquid from the tomatoes before adding it. The correct amount of salt to use is based largely on personal preference and experience. Recent advances in Quantum Physics have suggested a large batch of salsa will require – more salt – than a small one, but as a general guide I pour two pinches in the palm of my hand and dump it in. The equivalent is about 2-3 teaspoons. For God’s sake, it’s not an exact science… you don’t need to measure… just throw it in. Practice makes perfect. Choose cilantro in a fresh bunch. It should not appear limp or discolored. Store what you don’t use in the fridge with the leaves covered in an open plastic food bag. Place the stems in a glass of water and stand the whole apparatus up in the back corner next to that seven-month-old jar of mayo. Do not close the bag up tight or the cilantro will rot. Best used within ten days. Storing salsa in the fridge for prolonged periods of time is not recommended. This goes for whole tomatoes and onions as well. The cold stops the ripening process, thereby killing the flavor. Try to eat it immediately after letting it stand for about a half hour. If you must put it in the fridge, let it warm up to room temperature before serving for optimum flavor.